It’s Strawberry season, woohoo!!! My family are strawberry fanatics – we always have them at home especially for my kids as it’s their favorite fruit to snack on. Of course, I love to bake with them, too. The freshest and juiciest strawberries always make any baked goods deliciously delightful! One of my favorite summer recipes is a Clafoutis – a classic French dessert made with fruits, especially cherries, baked in a custard batter. My first taste of an authentic Clafoutis was in Paris in 2013 when hubby and I went there for our 10th wedding anniversary. I had the most luscious and gorgeous Cherry Clafoutis complete with pits! I fell in-love with this dessert and after that I started to make them with cherries initially and then with other fruits including strawberries which I often use when cherries are too expensive to buy. I love Clafoutis not only because it’s bursting with fruity deliciousness but because it’s so easy and quick to prepare – seriously, one of the easiest desserts ever to make despite its foreign sounding name. I love Pies but sometimes there’s not enough time to make a from-scratch pie dough but in this recipe you don’t even need to roll out a pie dough – totally unnecessary. A Clafoutis is also a great alternative to the usual cobblers, crumbles, crisp and what-have-you summer desserts. It’s so simple that as long as you have some fruits in your fridge or pantry you can make this dessert without any planning ahead as the rest of the ingredients are almost always available in your kitchen (unless you don’t drink milk or use half and half in your coffee and the nuts are totally optional, too as they are not part of the classic recipe so no worries about that but I added them because I want to and they do add extra yum!). In fact, when our family is invited over for dinner and I have volunteered to bring dessert, more often than not this is what I bring as it’s so easy to make. And whether in potluck parties or small family dinners, they are always well-loved and the recipe often requested. So with strawberries aplenty – clafoutis will often be served! You can certainly enjoy this on it’s own but we do love to serve it warm-ish or at room temp with some vanilla ice cream on top! 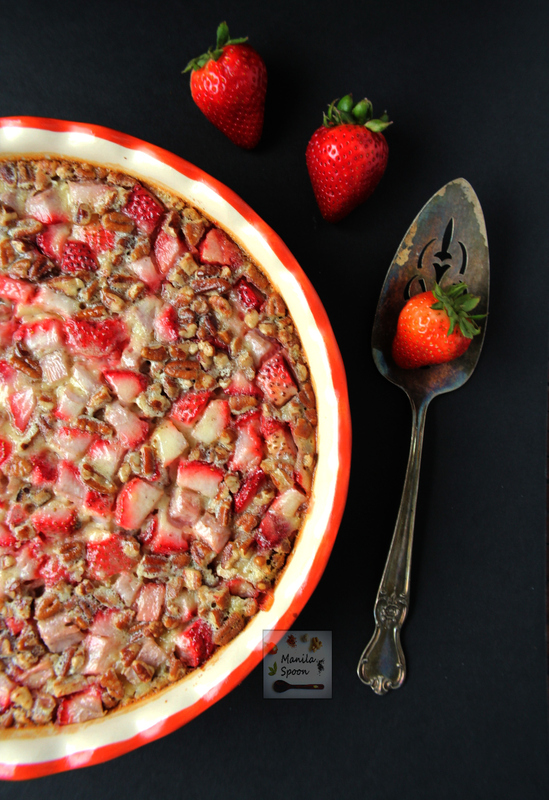 This easy and delicious tart is studded with the juiciest strawberries and crunchy pecans and then baked in a sweet vanilla custard batter. It’s the perfect summer dessert! Preheat the oven to 350 F. Generously butter a large (10-inch) pie plate. Use a lovely pie dish as this will serve as your serving plate, too. Place the strawberries at the bottom of the dish. Sprinkle the chopped pecans all over. Combine the flour, sugar and salt in a bowl. Lightly beat the three eggs in a separate bowl. Add the milk and vanilla and almond extracts to the beaten eggs and whisk to blend. Pour the milk mixture into the dry ingredients at once and quickly stir to avoid lumps. Pour the custard batter over the fruits and nuts. Bake for about 45-50 minutes or until the edges are set and it’s nicely browned on top. Oven heating and temperatures vary so adjust timing accordingly. Mine is firm and perfect at 45 minutes. Cool and enjoy. I suggest serving it warm with a dollop of whipped cream or even some vanilla ice cream! Enjoy! I am not familiar with the name of this dessert but I would like to dig my fork in for one big bite right now. Hope you get to try it Peter. Thanks. Doesn't this just look and sound amazing! Loving all the strawberries now, too! What a lovely dessert! 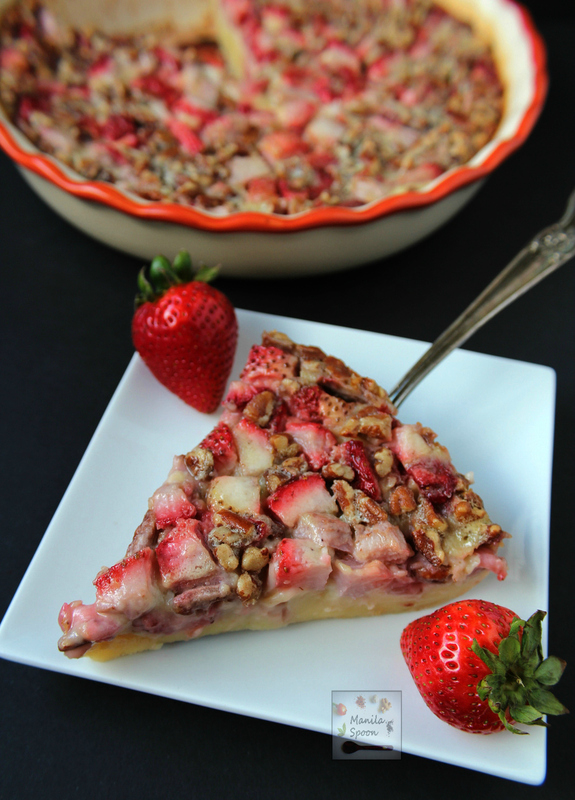 This looks absolutely delicious Abby and love the combination of strawberry and pecan! Pinned and shared! I would sell my own mother to get a slice of this right now. You don't have to Bintu, I will certainly give you a slice or 2….lol. Thanks for stopping by. This looks so colorful and vibrant, Abigail! What a pretty cake, bet this is perfect to celebrate a summer gathering or picnic! Perfect for the berry season or anytime really. Thanks Florian! Hope you get to try it Allie! Thanks. I always find an excuse to top any dessert with ice cream Becca! Thanks for stopping by. My all-season favorite dessert but especially in summer when strawberries are fresh and delish! Thanks, Arman! Certainly Luthfun, other berries should work, too and even other fruits. Wow! This looks sooo delicious. Thanks Rini! Hope you try it! Fantastic seasonal recipe! I will give it a try soon, sounds both easy and fabulous! Hope you like it Del! Strawberries will soon be in season here…this looks perfect! Thanks, Jenn! I am glad you stopped by and said hi! Looks perfect as a summer bbq dessert. Thanks, Sherin! It really is! Wow this looks good! And I really want a big slice with a scoop of vanilla ice cream! Yum! I am with you there Debi! 🙂 Thanks. I just love a clafoutis—but have only made a peach and a cherry. 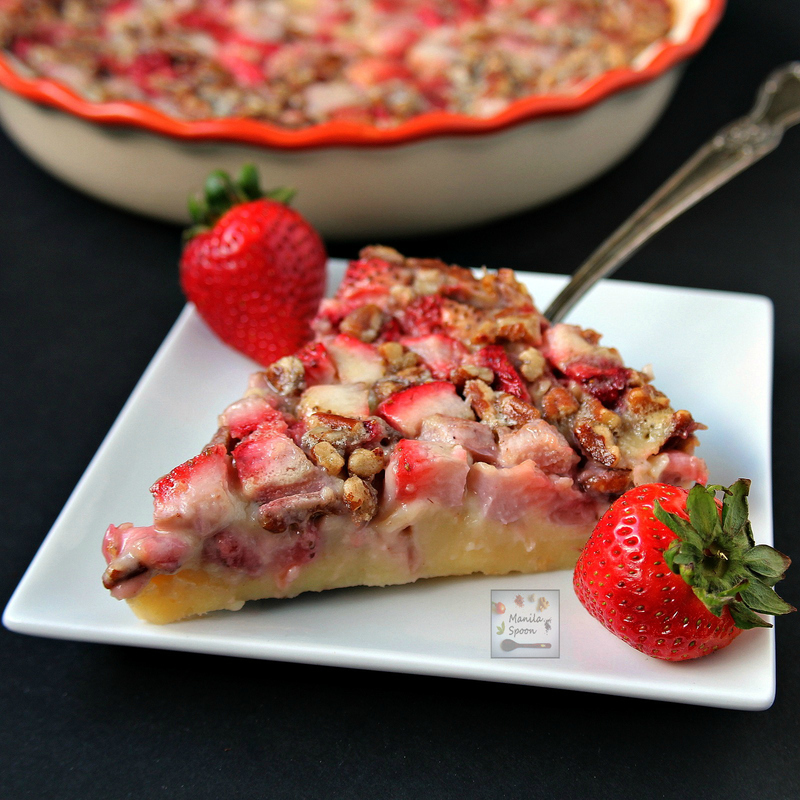 Your strawberry pecan version looks amazing!!! Perfect summer dessert! Thanks Liz! It is our summer favorite dessert! YUMMM! 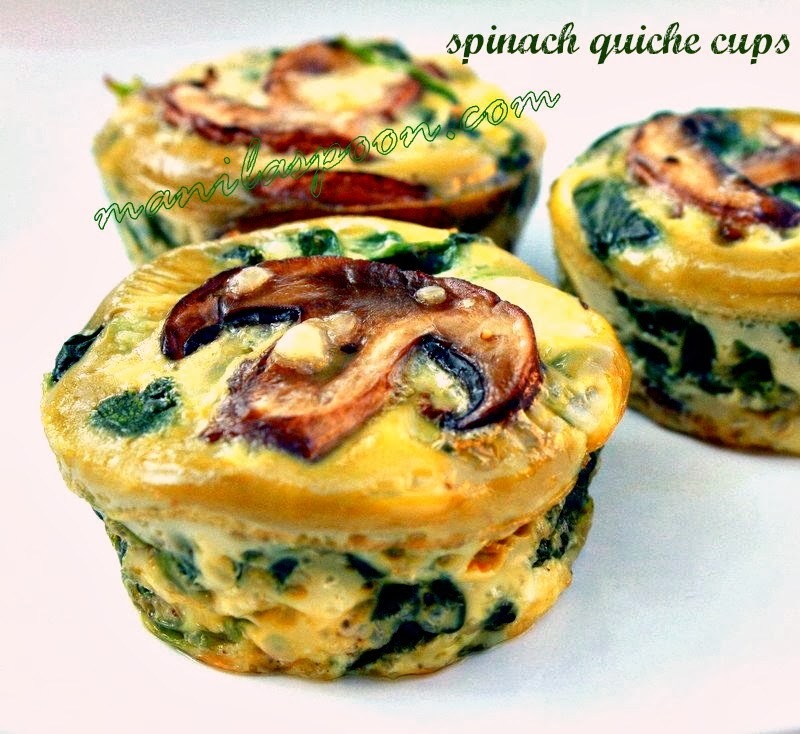 This looks super delicious and very easy to make.